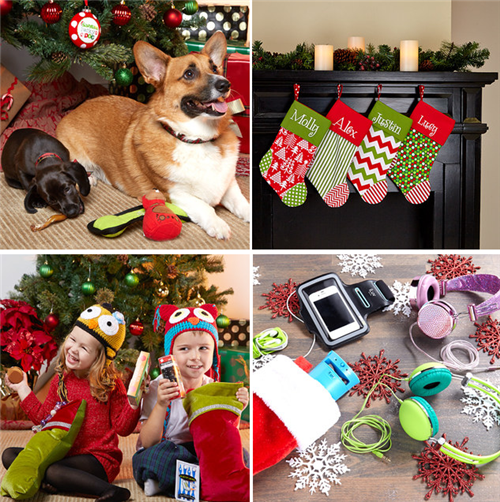 Huge 3-Day Sale: Stocking Stuffers and Pet Presents Up To 50% OFF! Snag some bargains on stuff for yourself, your fur kids, friends and family when you get started on holiday gift shopping with this big 3-day sale over at Zulily. They are having a Stocking Stuffer event with up to 50% OFF gifts for pets, kids and grown ups! 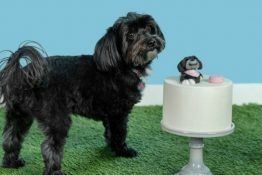 There are some inexpensive tech gadgets that would be perfect as a pet sitter or dog walker gift, some cute little items that would make great teacher presents or office gift exchange items, and of course loads of adorable stuff for PETS! 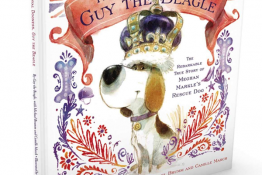 I spotted all kinds of fun stuff for dogs, cats and pet lovers! You can even snag a super cute stocking for your fur kid if they don’t already have one! And folks, don’t be shy about hinting to your family that YOU like getting stuff in your stocking too…I sometimes have to remind Woof Woof Papa otherwise I might wake up to an empty one on Christmas morning! As with all Zulily sale events, this one is members-only. It’s FREE to join here and you’ll get access to all of their amazing sales and deals for moms, baby, home and pets, with new ones starting daily! And be sure to take advantage of their ALL-DAY SHOPPING, ONE-TIME SHIPPING special: Place an order, then enjoy FREE SHIPPING on all additional orders placed before midnight PT. Happy shopping! If you’ve been procrastinating or just realized you’ve missed someone on your gift list, not to worry! Amazon.com has same day gift cards available plus last minute shipping in time for Christmas on most items. Today is the last full day to order with 2-day or 1-day shipping options, and tomorrow you can order by 3pm EST and still get 1-day shipping, depending on items. Be sure to check the shipping info before finalizing your order. 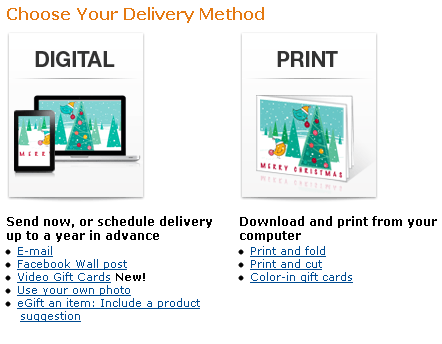 You can get email and printable Amazon Gift Cards any time that can be sent immediately or at the time of your choosing – or print them at home to give your gift in person. I don’t know about you, but I’m always thrilled to receive an Amazon Gift Card since they sell everything under the sun at super great prices…in case you were wondering what to get me! 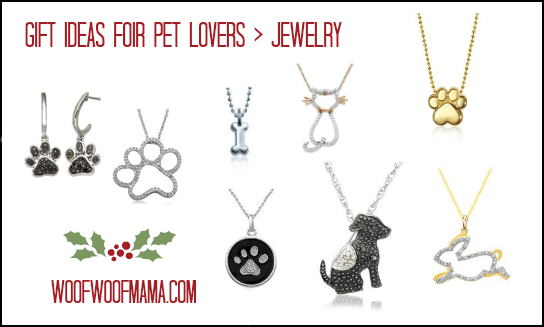 FREE One-Day Shipping on Jewelry for Pet Lovers: Great Last Minute Gift Ideas! There’s still time to find a thoughtful gift for the pet lover in your life, with this special offer over at Amazon. Order now and get FREE One-Day Shipping and Free Returns on select jewelry including a great selection of necklaces, bracelets, earrings and more with paws, dogs, cats and other critters! Find a huge variety of cute and sentimental jewelry gifts for pet lovers including Paw Necklaces, Cat Pendants, Cute Earrings, and lots more. Prices start from around $39 and there are just way too many to list. I even spotted some adorable necklaces from popular designer Alex Woo, including the bone and paw pendants shown above, starting from $90! All jewelry items included in the One-Day FREE Shipping offer are clearly noted as such. Just add to cart and select One-Day Shipping before completing an order. The shipping discount will be applied at checkout so make sure you see it before completing. Good through December 22, 2012, at 11:59 a.m. Pacific time. Visit Amazon.com to browse jewelry and more great gifts for pet lovers with delivery in time for Christmas! It’s FREE SHIPPING DAY Today! Get Free Shipping Delivered by Christmas Eve! Did you hear that today is FREE Shipping Day? 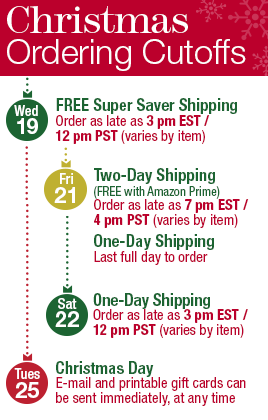 Get FREE SHIPPING with delivery by Christmas Eve from 1,500+ online retailers at FreeShippingDay.com. 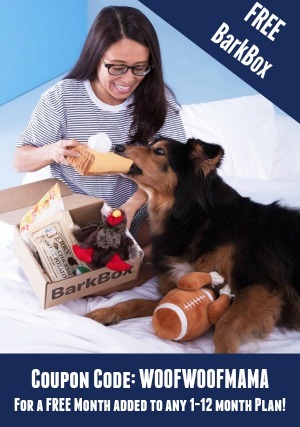 LOTS of pet supply websites are participating in Free Shipping Day 2012, including Petco, Wag.com, BaxterBoo and more. 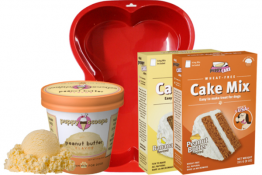 Our pals over at Dog Pack Snacks are offering FREE Shipping with a $20 purchase so be sure to check them out for yummy, all-natural treats made right here in the USA! You can view the full list of participating retailers now, and get links, promo codes, deals and more today only for Free Shipping Day 2012! In addition to pet supplies, other participating retailers include Kohl’s, Barnes & Noble, Best Buy, Tory Burch and tons more! Visit the Free Shipping Day website for the full scoop. FREE SHIPPING DAY is December 17th: Get the Details Now! Do you know about FREE Shipping Day? Get FREE SHIPPING with delivery by Christmas Eve from 1,500+ online retailers on Mon., December 17 at FreeShippingDay.com. 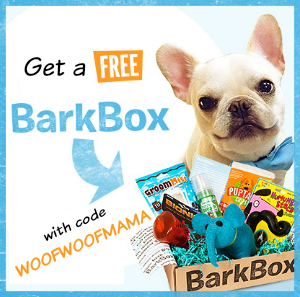 I’m thrilled to see so many pet supply websites are participating in Free Shipping Day 2012, including Petco, Wag.com, BaxterBoo and our pals over at Dog Pack Snacks! You can view the preview of participating retailers now, and the full list will be revealed at 12:00am EST on Monday, December 17, 2012. Since there is SO much going on this time of year, I suggest you head on over and signup for a FREE email reminder to make sure you don’t forget. In addition to pet supplies, other participating retailers include Kohl’s, Barnes & Noble, Best Buy, Tory Burch and tons more! There will also be special deals, promo codes and coupons available so don’t miss out! Visit the Free Shipping Day website for the full scoop.